Transnational bribery and corruption are intensifying ethics and compliance concerns for companies doing business on a global basis as prosecutors pursue a record number of cases and penalties for offenses escalate dramatically. Daimler AG, maker of Mercedes cars and trucks, is the latest company dealing with fallout from violations of the U.S. Foreign Corrupt Practices Act (FCPA). According to papers filed in federal court last week, Daimler has agreed to pay a total of $185 million to settle criminal and civil charges that between 1998 and 2008 it made at least $56 million in improper payments to officials in at least 22 countries to obtain government contracts for Daimler vehicles. On the very day that Daimler’s agreement was revealed in the U.S., police and investigators from the United Kingdom’s Serious Fraud Office were conducting dawn raids in that country to arrest three directors of the U.K. unit of the French engineering firm Alstom – including the unit’s president, finance director and legal director – on suspicion of bribery, corruption, money laundering and false accounting. Meanwhile, technology company Alcatel-Lucent last month announced in its consolidated financial statements for 2009 that it had reached agreement with the Department of Justice and the SEC to pay a total of $137 million to settle criminal and civil cases stemming from bribery charges involving business in Costa Rica, Taiwan and Kenya. And in February, British defense contractor BAE agreed to pay fines totaling almost $450 million to settle charges that it had made illegal payments to officials in various countries to obtain contracts. 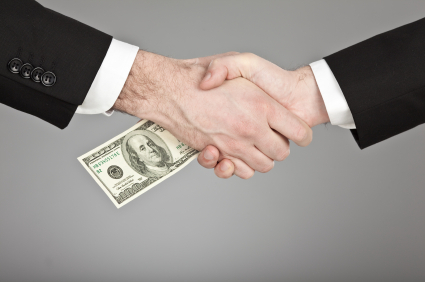 The record for a bribery and corruption settlement belongs to technology giant Siemens, which in 2008 agreed to pay more than $1.6 billion in fines and penalties in connection with FCPA charges. The Foreign Corrupt Practices Act was enacted in 1977 but not aggressively enforced for decades. Prosecutors and regulators often relied on companies to self-police and self-report violations. In each of the last several years, however, the number of cases brought has set a record, and lawyers familiar with the Justice Department’s current case load say 2010 is almost certain to be another record year.